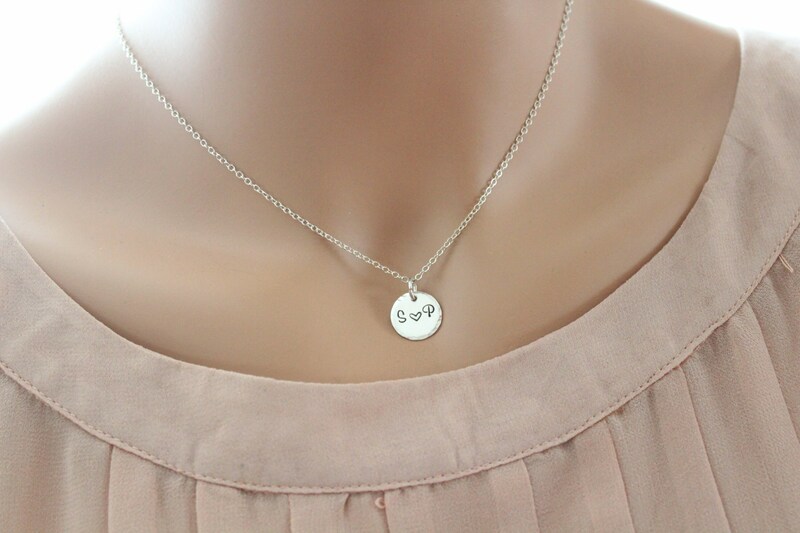 This modern, contemporary circular pendant is personalized to feature a couple's initials either side of a beautiful heart stamp. 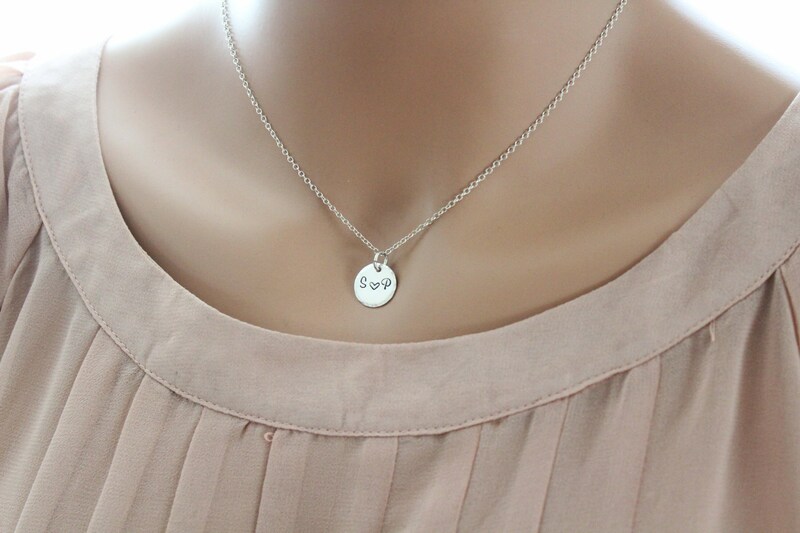 ★·What 2 letters to stamp on the disc charm. ★Need a little help with the checkout process? 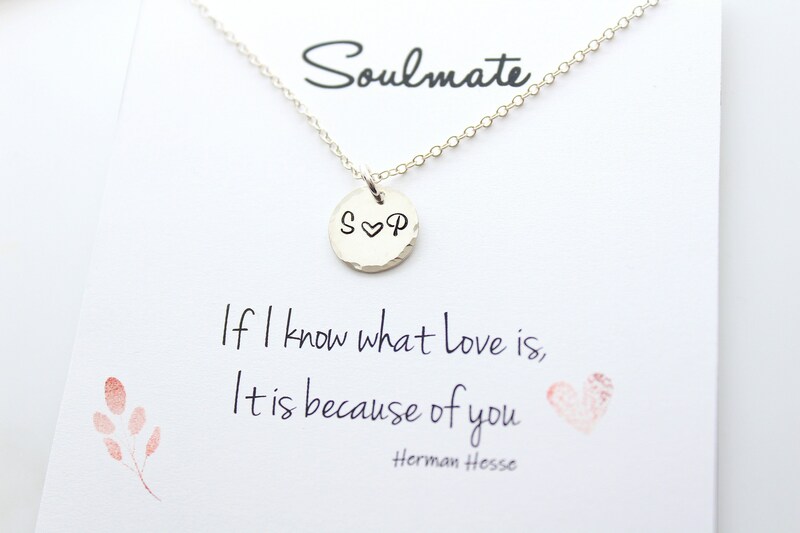 ★I DO NOT include invoices inside my packages, as a lot of my items are shipped as gifts. Please contact me if you would like me to include a paper invoice! Accepts major credit cards with direct check out and PayPal as payment method. Please note if you paid with e-Check the shipping of your item will be delayed until the e-Check clears. ➨ Please note that all Massachusetts state residents will be charged a 6.25% sales tax. I cannot be held responsible for any Customs Fees your country will charge for you to accept a package from the United States. The customer is responsible for any Customs Fees, Duty Charges, Taxes, etc.. You will not be reimbursed for any Customs Fees, Duty Charges or Taxes. Please consider this before your purchase. All items must be returned unworn in their original gift box to qualify for a refund or exchange. Postage and adequate insurance is the responsibility of the buyer. Please do not send anything back without notifying us first . If items has been sent back in without these conditions MyTinystarShining charges a 30% restocking fee for returns. 🛑Earrings: Please note that these earrings are non returnable due to health and safety reasons. MyTinystarShining charges a 10% restocking fee for returns. I want my customers to have 100% satisfaction for their purchase. If you have any concerns/ issues with your purchase, please contact me through ETSY convo BEFORE leaving a feedback. I would be happy to discuss the details and work out a solution with you on your purchase. I would love very much to receive your feedback as it lets me know the items reached you safely, so please kindly take the time to do so. All the jewelry comes packaged and will be presented in a gift box wrapped with japanese tape. Most importantly, please do not shower, swim, or exercise while wearing your gold filled or sterling silver jewelry. Extra care must be taken to ensure that your new handcrafted jewelry will last you many years. Also, please remember that due to the delicate nature of dainty jewelry, sleeping with your jewelry on is not recommend, as movements during sleeping can cause breakage. MOISTURE, salt water, chlorine in swimming pools, soap and perspiration take their toll on fine jewelry. Apply self-tanners, sunscreen, lotion or perfume and allow them to dry before putting on jewelry. If you jewelry gets wet, pat it dry immediately with a soft cloth. 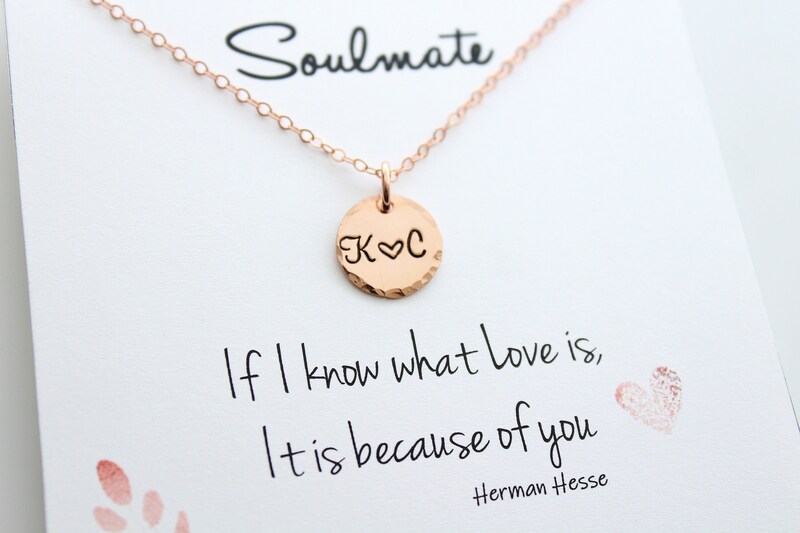 When ordering a personalized piece, please be sure to include all personalization details in the "Note to Seller" box at checkout (in your Etsy shopping cart). If this was missed during purchase, please message me here on Etsy to let me know the details for your order. Rose Gold vermeil or Gold Vermeil Components, unless noted otherwise in the item description. 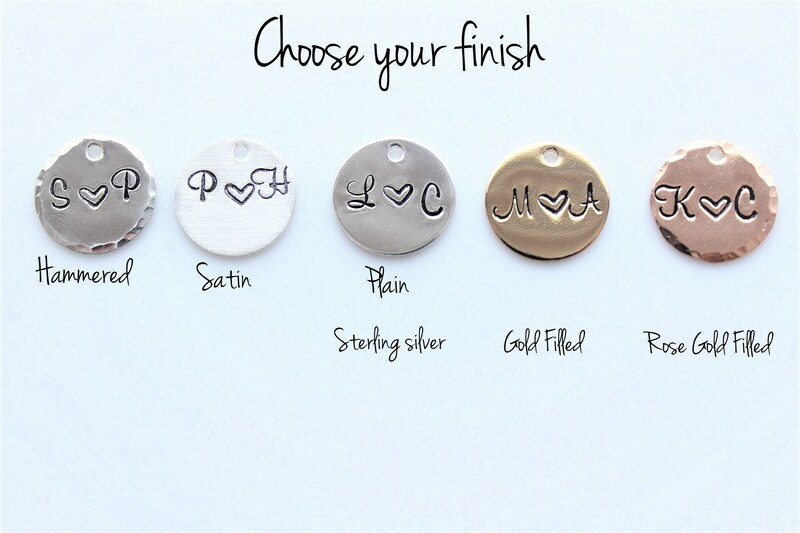 Sterling silver and Gold Filled are NICKEL FREE, and are considered hypoallergenic. 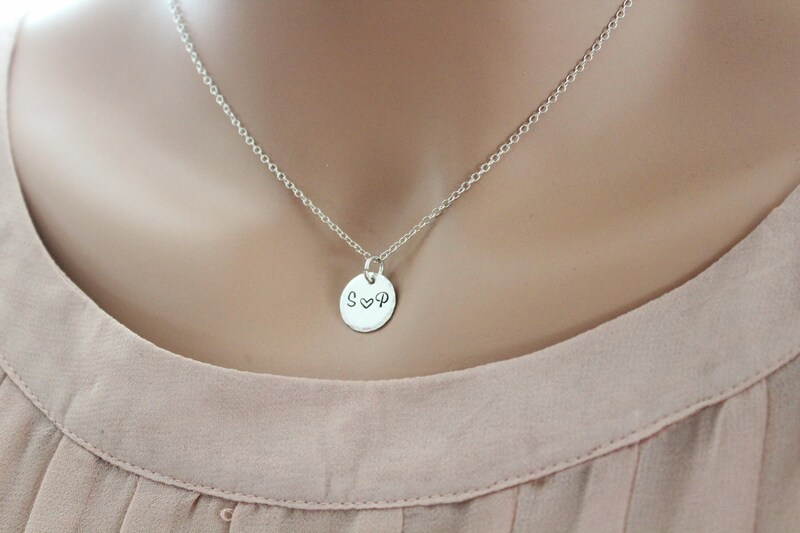 In my experience, even the most sensitive skin can tolerate Sterling Silver and Gold Filled.